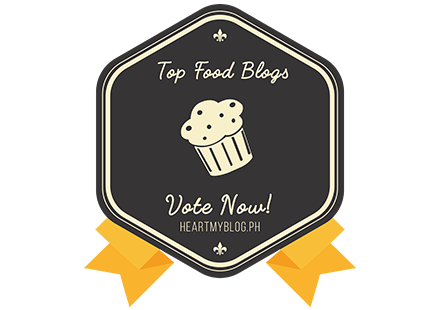 10 Countries Around the World Serving Scrumptious Seafood Dishes – Eats Yummy! From the beautiful coastlines of Italy to the exoticism of Malaysia, the world holds plenty of tasty adventures for seafood lovers. This is the ultimate bucket list for having everything that swims under the sea. We look at countries all over the world which are renowned for their seafood recipes and cuisines, with a potential to be your next vacation destination. Something that is worth checking. 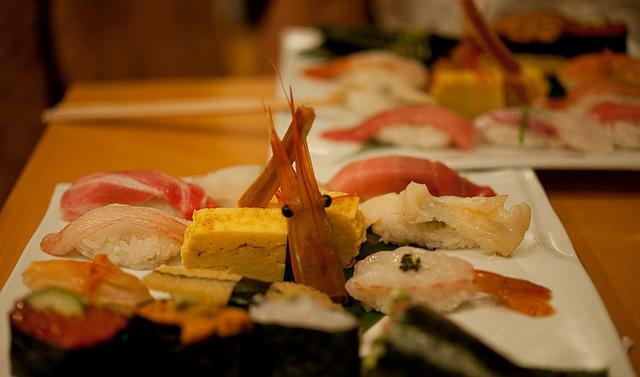 With sushi having marked its place in worldwide food culture, Japan is a top spot for seafood lovers and recipes. The Japanese are the authority on elegance in the preparation and presentation of food. Whether you’re a deep fried shrimp tempura or fresh sashimi kind of person, there’s something for you. The seafood dishes here come in a variety of shapes and sizes, often served gourmet buffet-style and found increasingly everywhere. The gastronomy of Italy is one where light culinary touches deliver powerful waves to the tastebuds. Boasting a bounty of seafood provided by the extensive coastlines, the staple diet of a local consists of fish, shrimp, clams and the like. Get both your seafood and pasta fix at an idyllic trattoria. 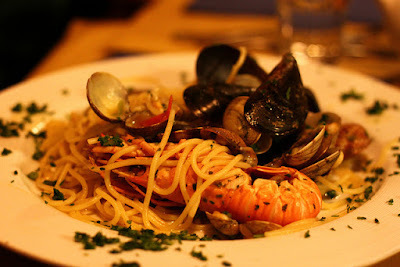 The subtlety of pasta makes it an ideal vehicle for the richness of seafood. 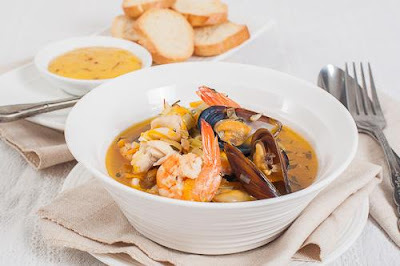 Experience tastes and aromas undeniably that of the sea with dishes like the cioppino; it’s a classic stew with a little bit of everything under the sea. Spain is surrounded by the waters of the Mediterranean and the Atlantic, so it’s not surprising that seafood is a key part of the country’s delectable traditions. 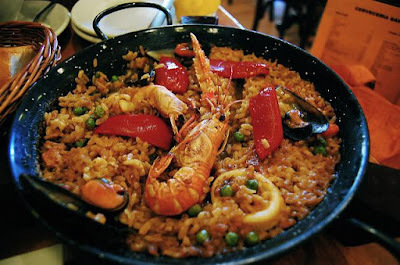 Paella, the proud Spanish signature plays cousin to Italy’s risotto. It is one of the great rice dishes of the world. Traditionally, it is cooked with rabbit, chicken and snail but it is now recognised as a seafood delicacy. Come and have tapas and craft beer to go with your main course. Thailand is known for the fantastic ways it incorporates spice into food. Your order is always delivered piping hot to your table, aside from the mango salads. 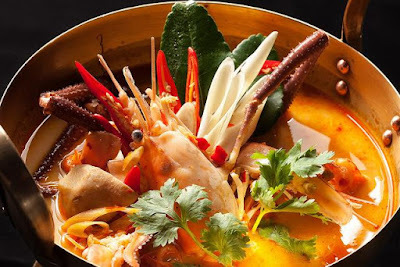 The main attraction here is a spicy and sour soup that’s sometimes served in coconut husks – tom yum holds a floating medley of seafood, often prawn and squid. Revel in the flavours of authentic Thai seafood at one of the many lovely beachside restaurants and cocktail bars. America is where the food always comes piled high and seafood is no exception. 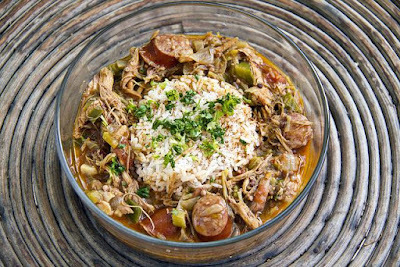 The soulful coasts of New Orleans serve unique local concoctions from Cajun seafood gumbo to Creole jambalaya. The foggy San Francisco contains a staggering number of exceptional seafood restaurants whereas the historical city of Boston offers spectacular harbour views to go with your creamy chowder. 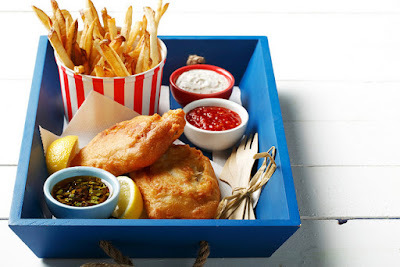 When you tuck into a crispy snack from the many seafood shacks here, you’ll realise there’s more to savour than just what’s in your paper plate. 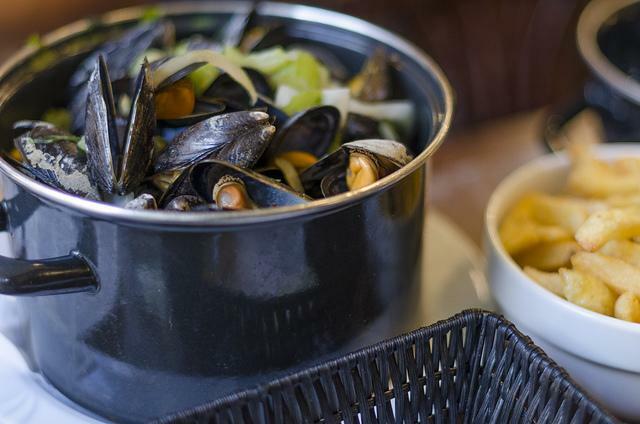 Aside from the fries, chocolate and beer, the nationals of Belgium love their mussels as much as it’s become an unofficial national meal. Why else would you travel to Brussels if not for a big helping of mussels? A perfectly-steamed pot of moules-frites is cooked in a range of bases (from cream to beer) and served with signature fries. Come during summer for the best pickings and find yourself transported to the seaside. Peruvian cuisine isn’t something that has had its time under the spotlight. 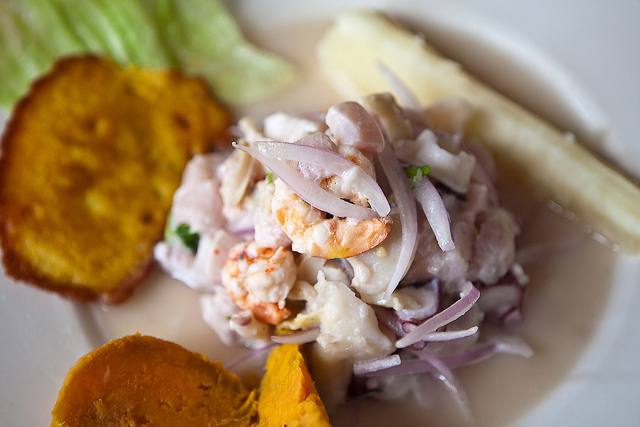 The seafood haven capital of Lima cannot be visited without also tasting a dish of ceviche. Ceviche is a famed Latin American treat; it’s essentially a plate of raw fish marinated by the juice of the unique Peruvian lemon and chilli, served with corn and sweet potato. Peru’s oceanic offerings are unlike anything that you’ve previously tasted. A laidback French holiday is a great setting to enjoy the fruits of the ocean. In the French seafood scene, there’s the bouillabaise first and foremost, a traditional fish stew served with bread and a mayonnaise-style sauce. A simple meal of smooth and creamy lobster bisque with baguette might just be good enough to last you during your time there. You can also delight in the famed Belon oysters in the northwestern region of Brittany. Malaysian food is an assortment of cheap and tasty street eats. Tropical climate and diverse islands make Malaysia a worthy trip for seafood enthusiasts. 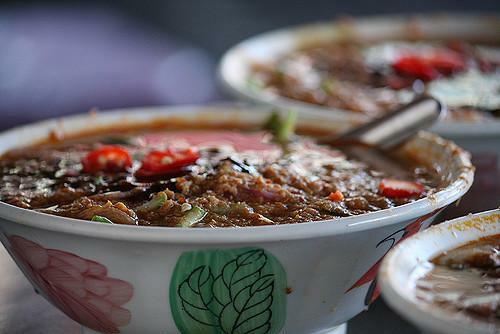 Visit Penang Island, it’s a part of the country that attracts crowds solely for its food. The local favourites here are asam laksa and otak-otak, two equally delicious representations of fish, the former a fish cake and the latter a spicy noodle soup made from mackerel. You can find these at the famous night markets which set up shop nearby sandy beaches. Stop by here or here for a nice place to overnight during your seafood venture. Why not end this list with the people who brought you the classic unmistakable fish and chips? England is brimming with unique settings to enjoy its seafood selections. Today, lobster and chips are on the menu, boat-to-beach barbeques are available for groups and the fishing spots are as picturesque as ever. London and Kent are cities which offer superb seafood dishes within a cozy ambience, whether it’s an extravagant Michelin-starred eatery or grab-and-go oyster bar. If you’re having one of those days where you feel like staying in, satisfy your cravings and cook up a sumptuous dinner for yourself with this seafood pasta recipe. What do you think of this post? Let us know your thoughts by leaving your comment below.